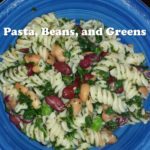 Awesomely yummy, gluten-free, healthy, dairy-free, vegetarian, delicious recipes! Applesauce – super quick and easy! 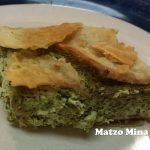 Broccoli à la Valerie – quick and yummy! Cashew Milk – super easy!!! Tzatziki sauce – vegan, garlicky, tangy, and addictive! 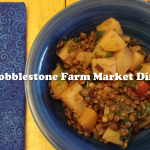 Cobblestone Farm Market Dinner – gluten-free, vegan, and makes my body oh so happy! 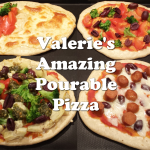 Valerie’s Amazing Pourable Pizza — easy, gluten-free, yeast-free, can be dairy-free — and delicious! 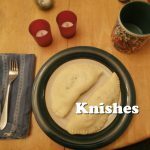 Knishes – cute packets of potatoes in dough – gluten-free and vegetarian – warm and delicious! 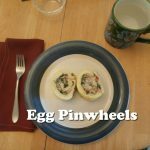 Egg Pinwheels – no gluten or dairy, and super cute! 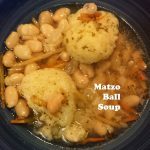 Matzo Ball Soup – gluten-free and dairy-free for Passover or anytime! 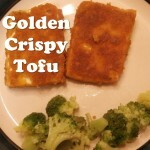 Golden Crispy Tofu – gluten-free, vegan, and yummy! Chocolate Turtles – easy, vegan, gluten-free and super yummy! Pumpkin Spice Donuts with Chocolate Ganache Frosting – gluten-free, no refined sugar, can be vegan, and totally delicious! Blondies – easy, healthy, vegan, gluten-free, and very yummy! Lori on Chocolate Turtles – easy, vegan, gluten-free and super yummy! 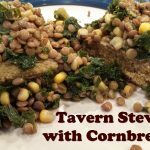 Lori on Blondies – easy, healthy, vegan, gluten-free, and very yummy! 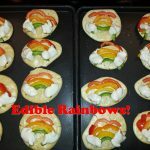 Valerie on Valerie’s Amazing Pourable Pizza — easy, gluten-free, yeast-free, can be dairy-free — and delicious! If you try a recipe, I would love it if you leave a comment to say what worked for you, what didn't work, what you changed, or anything else about it! Ting has super-cheap cell phone service! Mine is $14 per line! Try it! Get $5 off a $49 order at Lucky Vitamin! Fresh Fruit Pie with Chocolate Brownie Crust – gluten-free, raw, vegan, beautiful and yummy! Hamentaschen – gluten-free and can be vegan! Pancakes – gluten-free, vegan, and delicious!